Kiwi screenwriter and producer Anthony McCarten seems to be too good at film awards alchemy. Starting from 2014 he focuses on biopics only, and that was like discovering a goldmine: in 2015 he won BAFTA Award for Best Adapted Screenplay (The Theory of Everything), the film itself was named Outstanding British Film, and Eddie Redmayne was awarded as Best Actor. The same year The Theory of Everything was nominated for Oscar and won one for Best Actor. In 2018 the biopic about Winston Churchill`s first days as the Prime Minister, Darkest Hour, was nominated as Best Film for BAFTA and Oscar, and Gary Oldman won Best Actor`s award. Well, scientists and politicians are the closed chapter, now it`s music`s turn, since the art has power to change people`s life not less significantly than scientific discoveries or war and peace decisions. So Anthony McCarten took on the story of legendary Queen – of the band itself, not just Freddie Mercury. Voila, the film got two main Golden Globes, what`s up next? Three biopics in a row, and such a success. It seems to me that the secret of McCarten`s screenwriting is perfectly simple: no matter who his characters are, they are always humane and lifelike. Regardless of the global scale of their personality and activity, they are shown as ordinary people with normal feelings, worries and insecurities – nothing in common with well-known iconic images from newspapers and history textbooks. With the true facts given, McCarten is extremely careful with historical material. In case of any controversy or uncertainty he do not step away from the path but covers the matter in dispute with a neutral veil, letting the audience to decide which side are they on. Working on Bohemian Rhapsody he faced such issues as well, being in a tricky puzzle how to not avoid them without over-highlighting. It is well-known that Freddie Mercury let`s say experimented with being straight or gay, but he never gave any comments on his private life and looked on his ex-girlfiend as more than a best friend till the end of his days. The film reflects this fragile psyche of the creative mind tearing himself apart between the abyss of scandalous antics and the need of warmth, understanding and a soulmate. Rami Malek certainly deserves appreciation and the highest estimation of his performing skills and the huge work to bring the portrayal of iconic Freddie on screen. Some might have hardly imagined him in the new role, strikingly distinctive from everything he had done before, like those in Mr.Robot or Night At The Museum. Malek demonstrates elegant dramatic effect and stunning plastics while portraying Freddie Mercury at different ages, personal and professional milestones. Same with Gary Oldman`s Winston Churchill in Darkest Hour, the hundred per cent physical resemblance is not the key to an iconic image: it`s much more important to fill the character with emotions that stand behind the fame. The extreme level of talent inevitably goes in line with self-destruction, it is a kind of the payment for success. 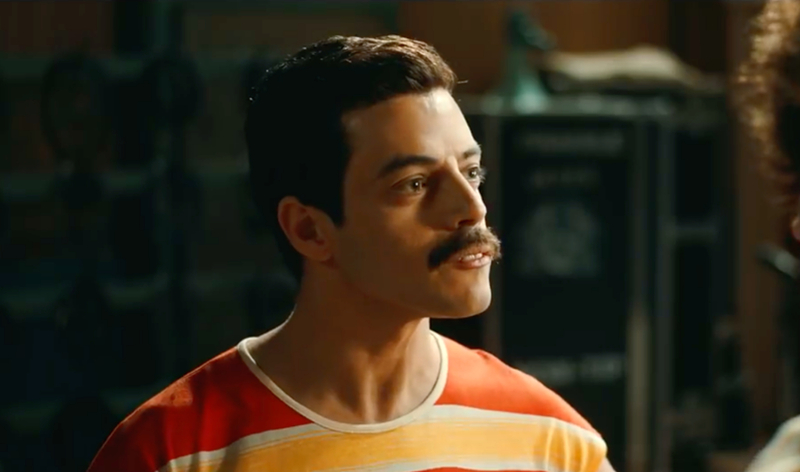 And Rami Malek`s Freddie Mercury pays regularly and without delays. Such role may become a big turn in any actor`s career. 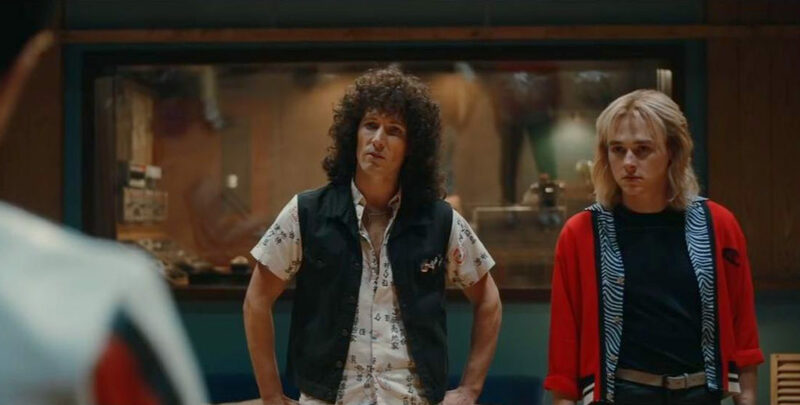 But Bohemian Rhapsody was not designed as Freddie Mercury`s biography, it`s the history of the band and it was made in collaboration with the Queen`s starting lineup members Brian May and Roger Taylor who became the musical producers for the film. 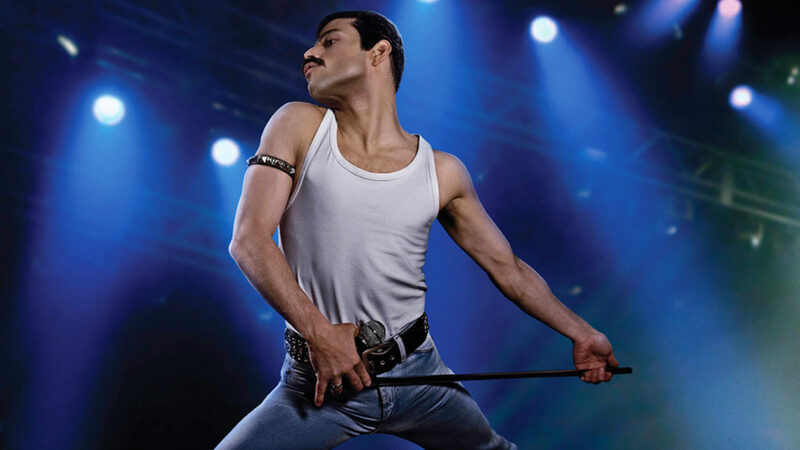 Both film director Brian Singer and screenwriter Anthony McCarten were working in one creative team with them, the people who built Queen the way millions knew it and loved it. Casting is truly brilliant, all roles with no exceptions performed by talented and inspired actors. Gwilym Lee, Ben Hardy and Joe Mazzello portraying Brian May, Roger Taylor and John Deacon respectively are loaded with music, ambitions and drive of innovative creation. Aidan Gillen`s sneaky eyes perfectly fits hard boiled musical manager John Reid who discovered not only Queen, but also Elton John. Lucy Boynton as Freddie`s girlfriend Mary Austin is starry-eyed, soft-hearted and facing crash of dreams. Meneka Das reflects mother`s kindness and hopes while Ace Bhatti as Freddie`s father fears disappointment the most. And the special appreciation goes to paw cast: Freddie Mercury`s famous cats are one of the clues to biographical aesthetics. Anthony McCarten worked on the screenplay of Bohemian Rhapsody together with colleague Peter Morgan, who was familiar to “royal” stories long before Queen`s one: The Other Boleyn Girl (2008), The Last King Of Scotland (2006), The Queen (2005). It is yet unknown if there is a book adaptation, but the illustrated album on Bohemian Rhapsody was already published, prepared by Owen Williams, famous for his Alien visual guide. 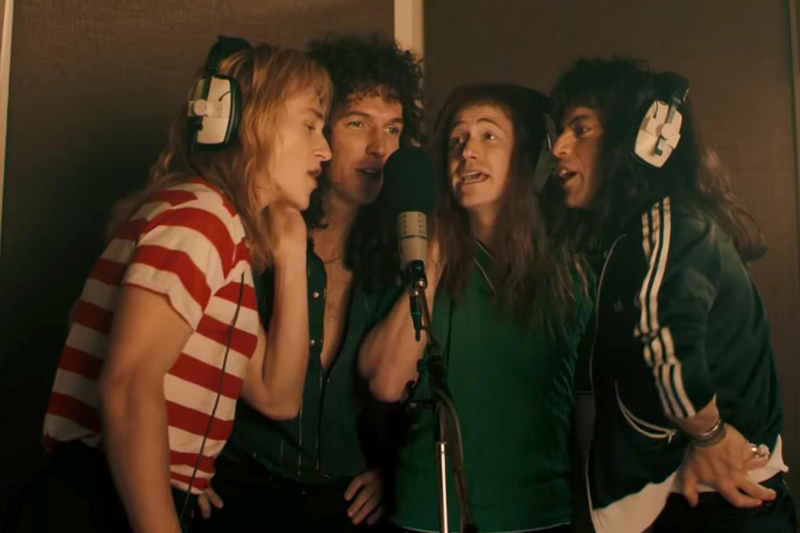 And if the future of Bohemian Rhapsody promises to be successfully awarded, so Anthony McCarten`s screenwriting future goes far beyond the standard biopic frame. Having scientists, politicians and artists among his characters, he has looked up in the higher spheres. Today biopic The Pope based on his screenplay is in post-production. Benedict XVI and Francis are portrayed by Anthony Hopkins and Johnathan Pryce. The book by McCarten titled The Pope: Francis, Benedict and the Decision that Shook the World has already hit the stores in the US and Europe. Once talking about his work on Darkest Hour, McCarten called Winston Churchill “the leader of the luck”. Let`s see will he become the screenwriter of the luck himself for the classics of modern biopics. P.S. Bohemian Rhapsody has 6 BAFTA nominations: Outstanding British Film, Leading Actor, Makeup & Hair, Cinematography, Editing, Sound; and 5 Oscars nominations: Best Picture, Leading Actor, Film Editing, Sound Editing, Sound Mixing.